Announcements December 8, 2015 - Dirtytabs is the new secondary mod. 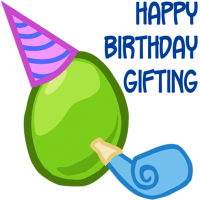 March 24, 2015 - Tier gifting system approved and added to main list. Gift requests are reopen in thread. March 3rd, 2015 - We are only accepting March requests via PM to test out a new gifting system. Anyone who requested in 2013 or before will need to re-request. This is done to ensure people are active still. Anyone who requested in 2014 should have been added. If not, your name should appear here with a reason. Changes from the old thread to now: There is a special clause for people requesting neglecteds now. If you request a neglected, you may not request other rares. This is to ensure breeders/gifters can give you something. If you signed up with a neglected and a rare in the old thread, it is recommended that you fix your form to comply with the new rules. The forms are different. Please make sure that you use the current forms. Thank you. Formatting of things is different too. Hopefully it is easier to read?